Bryanna Clark Grogan’s Vegan Feast Kitchen/ 21st Century Table: A NIFTY NEW GADGET FOR PRESSING TOFU! 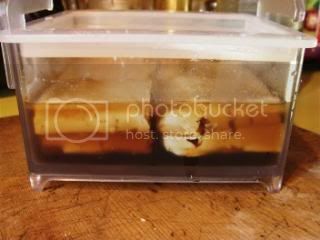 Look at the water that was pressed out of it in the next picture. I weighed it after pressing and almost half it's original weight (16 oz.) in water was pressed out! It weighed 8.6 oz. after pressing for an hour. The tofu was delicious! It had a different texture and mouth feel than commercial extra-firm tofu, I found. It was firm all right, but smoother and not as dry-- it's hard to explain! It makes the BEST scrambled tofu-- see my version of Julie Hasson's great tofu scramble using pressed medium-firm tofu. I am sold on this press! It would be especially useful if you make your own tofu. You can then press your finished tofu to the firmness you desire without balancing weights on top! 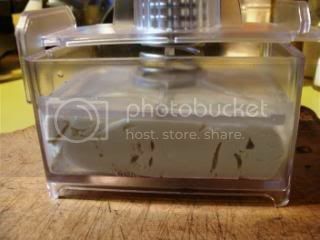 You can also use this press for squeezing the liquid out of cooked or thawed, frozen greens, shredded cabbage, eggplant slices, etc..
Also, some folks can only find the softer, medium-firm tofu, or that's the only kind they can get that's organic. Now, they can make it as firm as they like! 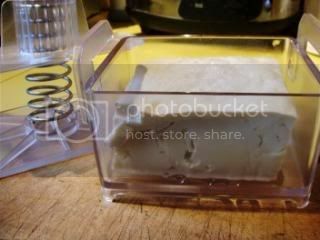 Furthermore, bulk medium-firm tofu is often far less expensive (and not over-packaged) than commercial pressed tofu, so that, even when you figure it by the pressed weight, you save money. there's such a thing for pressing tofu! wow. That looks just like a Japanese pickle press! 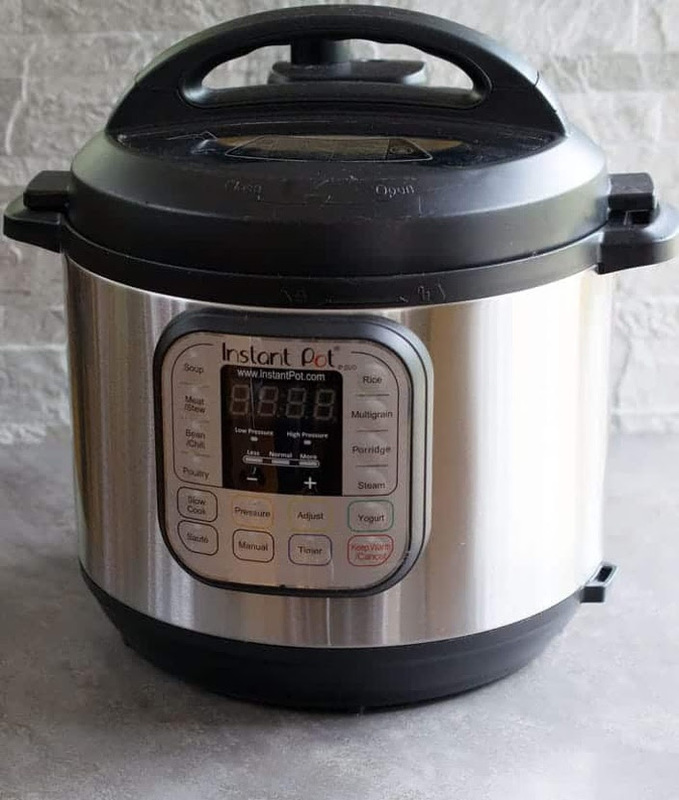 Mine is round, and I've been using it for at least twenty years to make quick pickles and pressed tofu! It's great. I have a post about it buried somewhere in my blog. Thanks for the review, Bryanna! I've seen this gadget but wasn't sure of its usefulness. Great to get a review from a trusted source! I can never get my tofu pressed as much as I like. I'll definitely check this out! About seven years ago I had a friend who did detailed woodcrafts. I asked him to make me a cedar tofu press using the specs listed used in a book I found at the library. I used it once and still have it for the nostalgia. 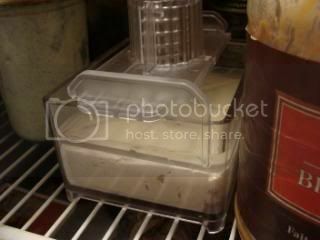 I like this press and the fact that the dish doubles as a marinating bowl... a tool with more than one use! Can I ask about this recipe and your breast of tofu? 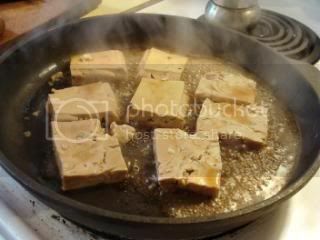 I wonder why it's so important to press the tofu if you are just going to marinate it again? I made your breast of tofu, pressing the tofu carefully to get the water out, and then followed your instructions, and my tofu came out soggy -- does yours? 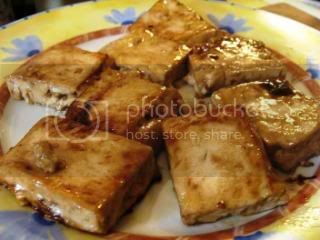 And this recipe -- the tofu doesn't get soggy (or stay soggy) when you marinate? that's awesome! i rarely ever press tofu but i think i would do it more often if i had this nifty gadget. i love kitchen gadgets. Anonymous, you must not be pressing the tofu enough. I have been using extra-firm tofu and it is the consistency of chicken breast. But I have seen other extra-firm tofus that are not as firm. 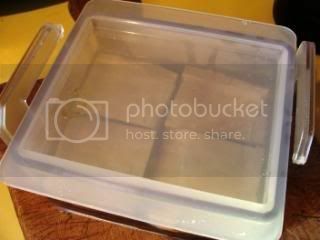 I have left my breast of tofu in the marinade for a week or more and it does not get soggy. Yes, this press seem really awesome. Tofu is so versatile! Your dishes look so flavorful. Thanks for sharing. Thanks for reveiwing this.I read about this in some VRG materials and was unsure about it. 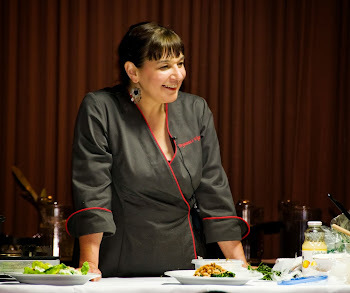 Bryanna,I'm taking the opportunity to tell you that I so appreciate your cookbooks and your enthusiasm for great healthful food, cooking, and sharing your knowledge with your readers to make healthful vegan food accessible and enjoyable. I found your cookbooks about 3 years ago (I'm 39) and only wish I had found them sooner! May God bless you. Thanks for reviewing this tofu press. I love gadgets and have bought too many that weren't useful in the end. I bought the SoyQuick soymilk maker you recommended. Which, by the way, we love. Your recommendation carries a lot of weight at my house. 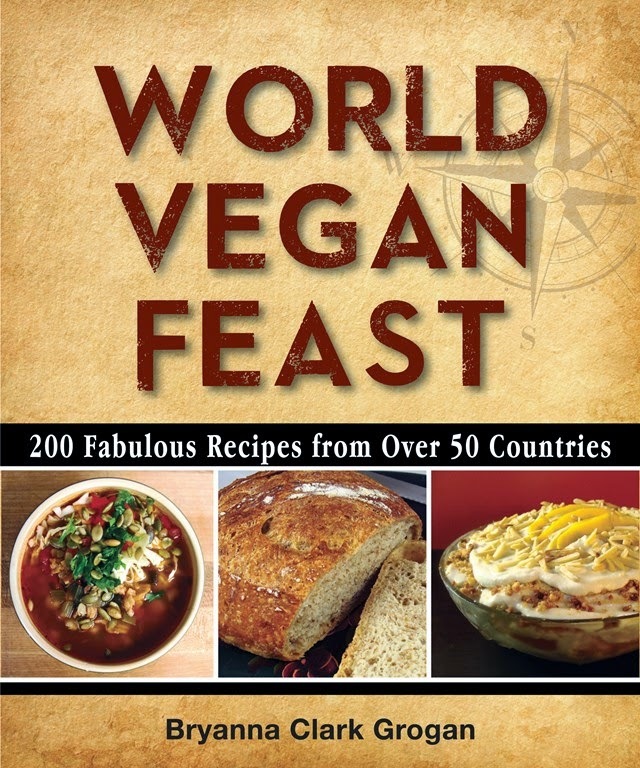 Thank you so much for all the trailblazing you have done in vegan cooking. 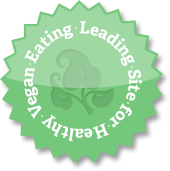 My husband and I would have had great difficulty staying vegan were it not for you. "Nonna's Italian Kitchen" was one of my first vegan cookbooks and is still one I turn to when I need inspiration. Wow, I will be buying this Bryanna. What a great idea. It can be use to make loaf of rice too and to press spinach. The water just rises to the top as the press goes down, and you pour it off. 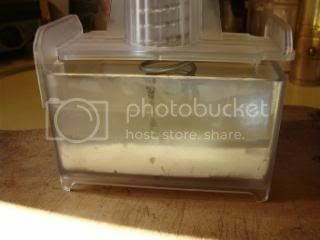 We just purchased a new tofu press from TofuPresser.com. 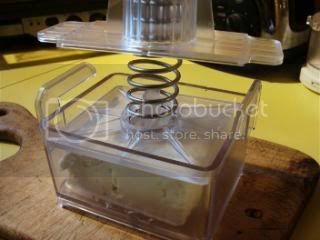 It is different from the tofu x press you mentioned above, but it does not require any assembly and completely presses tofu in 15 minutes….and it costs less. Take a look.